...so I didn't get to see Venus and the Moon, or Lulin, or much really. The Moon and Venus set over the ocean at coastal Adelaide in a prelude to tomorrow nights two crescents. Click to enlarge the image and get better colour values. 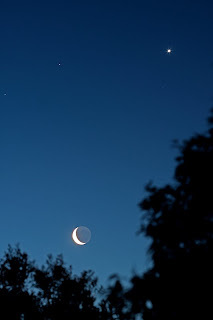 On Saturday evening, you can see something special, two crescents close together. Granted, you can't see Venus's crescent without a small telescope at the moment, but you can gaze at bright Venus and the crescent Moon and imagine what it would be like. 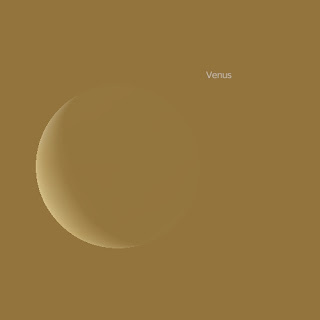 Venus is rapidly closing in on the horizon, and you only have a couple of weeks before Venus is lost in the twilight. On Saturday the best time to look is between half and hour and an hour after Sunset. A I mentioned before, Galileo's Sidereus Nuncius (The Starry Messenger) doesn't actually have chapters. After the dedication it is all one solid block of text, but it has logical subsections, so I'm blogging those. After the introduction, Galileo goes on to describe how he built his telescope. First he describes briefly how he hear of telescopes that had been built elsewhere. Many people are under the impression that Galileo invented the telescope. He didn't, and he says so, but he produced far better telescopes than the ones that were circulating at the time. Galileo's description of his telescope is frustratingly short. He takes a tube of lead and grinds two two lenses, sticks them in and "presto! ", a telescope. Details of how long the tube was, how big the lenses were, what depth they were ground to etc. are all missing. Later on, when he says that to follow up his observations, you have to make an excellent telescope without flaws one wonders how you are supposed to do that. 17th century savants were a bit more "hands on" than modern day philosophers, but lens grinding was not a widespread skill amongst them (there were spectacle makers around, they could have asked them though). Even Kepler had to borrow a telescope to confirm Gailileo's observations, rather than make his own. The lenses he describes will also be unfamiliar to those of us schooled in cartoon versions of the telescope. 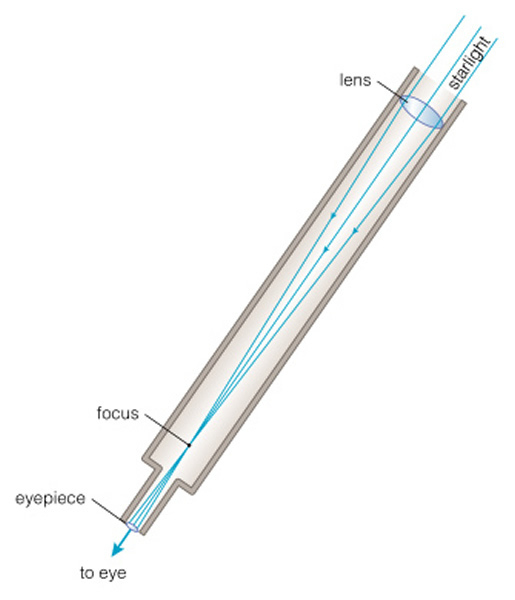 Most of ys think of telescopes as having an adjustable tube, and two convex lenses, like in this illustration. Galileo's lenses were flat on one side. One was spherically convex and one was concave, as shown in this illustration. Also, by modern standards his telescope was way underpowered, his first scope was only 9x, about as effective as a pair of 10x50 binoculars, his best telescope was only 30x, around the power of many modern finderscopes. For most of his observations of the Moon he use a scope of around 15x magnification. The higest power magnification was impractical because of the small field of view. Consier that not only did Galileo have a telescope that was low powered by todays standards, but there was no fancy andt-glare coatings, correction for abberation, a decent mounting or anything thing else. The quality and consistency of the glass available at the time was not as high as today. Yet Galileo made a telescope that could uncover the heavens. What he does sepend a lot of time on (in his wondrfully convoluted fashion) is his mechanism for determining distances between stars in the telescope (a series of thin metal plates with different sized holes in them that could be placed in front of the lens). This is where Galileo stands out. He wasn't the first to make a telescope, he wasn't the first to turn the telescope to the sky. But he was the first to make a seroius instrument capable of aming reasobably accurate measurements of objects. This will turn out to be important in the discussion of Medicaian staleelites later on, and the very conduct of science. Next week - The Moon! If you live in or around Adelaide then run, don't walk, to the nearest phone/computer terminal/ticket outlet and get tickets for "The Best of the Domefest" at the Planetarium at Mawson lakes. This is a series of award winning short films designed to be projected onto the dome of a planetarium (or any other dome-shaped structure). There were science education films, abstract films and wonderful little narratives. My favorite was "Dome sketch" which was just a series of abstract sketches, but absolutely wonderfully done. The Bettdeckrerschnappender weisle liked "Journey on a Snowflake", featuring singing H2O molecules and EldestOne liked "sciophobia" about ... well, you just have to see it. Just don't do what I did, which was to leave the tickets at home. Talk about embarrassment (the Domefest folks were good about it though). Details for getting tickets are here. It started off very badly. Setting up my scope I discovered that the RA release lever didn't work. I could still slew in RA using the knob controls, but rather than a quick "relase, rough align -lock -fine align" I had to spend minutes sloly advancing in RA. Then of course the finder scope had been knocked out of alignment, so I spent handfuls of time aligning that. 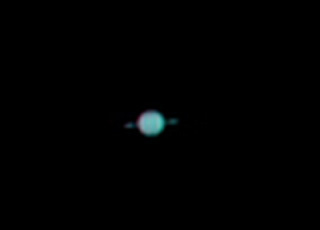 Then Saturn was just not turning up in the imager. Mucho adjustment later I work out that the focus is off. By the time I get Saturn in focus, Titan is well and truly on the disk. But I can't see it, as Saturn is bouncing around like a drop of water on a hot plate. Turbulence, bad turbulence. I'm lucky even to see the rings. 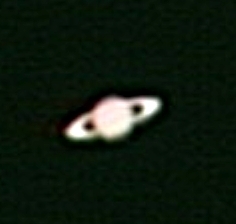 Still, it's obvious the ring are edge on, compare this to my 2007 image of Saturn below. Even with the turbulence tonight's a better image. And you can clearly see how much the rings have closed up. But still, no hope of seeing any of the moons, let alone Titan's shadow. Hope other folks did better. Again, you will need to click on the image to see Mercury and Jupiter close together (top of the image), and a thin crescent Moon down in the murk. If you have sharp eves, you can spot Mars just above the powerlines. It looked a lot more impressive to the eye. 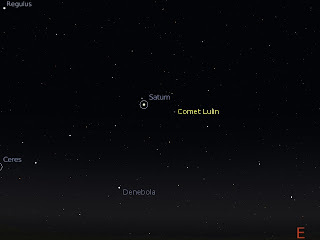 Comet Lulin near Saturn. Again, you will have to click the image to get a big enough version to see Lulin. It's a fuzzy patch right next to a star, so it's less impressive than yesterdays shot. Canon IXUS, 400 ASA, 15 seconds exposure. Again, blogger has put the image on the side, I don't know why. The Moon, a few planets and a lot of cloud! The Moon, Mercury, Jupiter and Mars on the morning of Monday, February 23. You will need to click on the images to enlarge them. Well, of course it would happen that most of the sky was clear this morning, except that bit where the planetary massing occurred. Still I got to see the Moon and its attendants play peek-a-boo with the clouds, and through binoculars the earthshine look quite nice, with threads of cloud giving a dramatic effect. Mars was the hardest to pick up, being closer to the horizon where the cloud was. Did get some nice views of all 3 planets at various stages, and these two pictures (around 5:30 am and 6:00 am), capture some of those moments. Almost everyone knows that you can add new objects, such as comets and asteroids, to Celestia. It is less widely known that you can add new comets and asteroids to Stellarium. See this Ice in Space thread and this one at Astronomy Log for more details. For Stellarium, you have to add the comet details to the ssystem.ini file in the data folder (always make a backup of this file okay). When you run Stellarium, you will have to turn planet hints on in the configuration menu. Otherwise you won't be able to see Lulin (comets don't render correctly in the current version of Stellarium, but that is supposed to be fixed in the next version (which is just about to be released)). Here the Lulin data I used, taken from Astronomy Log. If you want to make your own files for comets in the future, you can use the data sources I linked to in my post Making SSC Files for Celestia. Here is the data for a Lulin SSC file for Celestia. Note that it is slightly different from the Stellarium file in some items as I've used slighly different data sources. The Moon, Mercury Jupiter and Mars (the really faint dot down the bottom, click to enlarge for a better view), line up the day before the big massing. Carnival of Space #91 is here. Carnival of Space #91 is now up at the Next Big Future. There is Discussion of Galileo in the wake of the International Year of Astronomy, the Texas Fireball, water on Mars, a whole slew of stunning spacecraft images and much much more. Grab a jet pack and zoom on over. 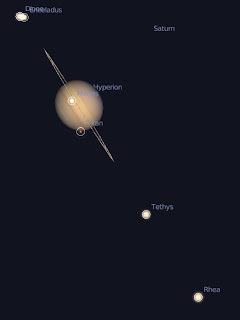 Titan just begins to pass across the face of Saturn in this Stellarium image. On February 24 there will be a second rare Transit of Titan across the face of Saturn. This time you will be able to see the shadow of Titan on Saturn (if you have a good enough telescope). Save the file in the Stellarium scripts folder, then run the script for an animation of the transit (without shadows). To rum the sript, in stellarium press M (menu) use the down arrow to get to 7. scripts, right arrow to get to select scripts, down arrow to pick up Titan_transit.sts, press enter them M, and sit back and watch. And of course there is the real thing. Mike Salaway's animation and Christiopher Go's animation of the transits they observed. Go have a look. 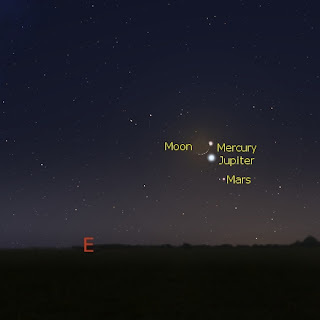 Mercury, the Moon, Jupiter and Mars make a fantastic grouping in the early morning sky on Monday February 23. 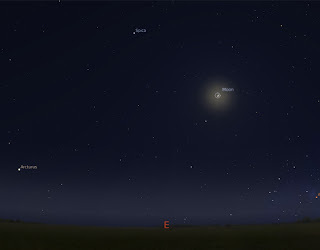 This image shows the appearance of the eastern horizon at around 6:00 am (click to enlarge). You can start observing as early as 5:30 if you have a nice level horizon, and the sky will be pretty light by 6:30, so it will be hard to see Mars. So you have about an hours window in the morning to see this lineup at its best. Looking on the 22nd will be pretty good too. The waning crescent Moon, Mercury Jupiter and Mars are all in a nice line. Comet Lulin at 11 pm looking east on the 23rd of February (click to enlarge). The comet will appear as a faint, fuzzy star. It will be readily visible at dark sky sites and just visible under most suburban skies. Comet Lulin is now very easily visible in binoculars, with the waning Moon producing less sky brightness. I’ve been watching it for the past 3 mornings, but have not been sufficiently organised to do any sketching. With in a few days the sky should be sufficiently dark for it to be visible to the unaided eye, even under most suburban skies (but not if you live in the inner city). Also, in the next few days the comet will be high enough above the horizon so that you can see it around 11 pm in the evening. 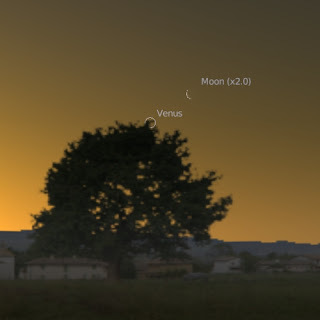 The best views will still be in the early morning, but you now really don’t need to drag yourself out of bed early (unless you want to see the hijinks of Mercury, Jupiter and Mars that is). Lulin is fairly hooting along now. In fact, if you have the patience, you can see it move through a binocular field over a couple of hours. Why not try and sketch its movement over a few hours of on night. Lulin is also getting brighter. Lulin will be at its brightest between the 20th and 25th of February, which will be a god time to see it. 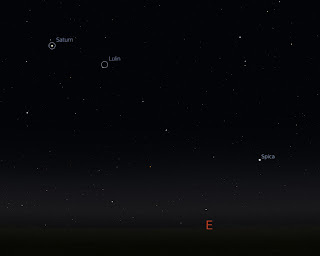 As well, on the 23rd and 24th of February, Lulin will be within a binocular field of Saturn, which should look rather nice. On the 24th there is also a rare transit of Titan, so this will be a good time to get the telescope out. 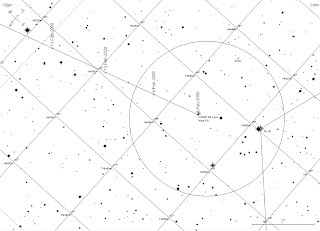 A printable black and white spotters map is here, and a printable binocular map, in the same orientation as the spotters map and showing Saturn and Denebola as orientation points, is here. Spaceweather has a nice comet gallery of Lulin images. It's something that should be part of the International Year of Astronomy, but Science Outside the Square, together with Adelaide Film Festival (AFF) and the Australian Network for Art and Technology have set up the Dome Project. This is where films have been specially made to project on Planetarium domes, but the subject matter can go beyond the usual starry night fare of Planetariums. David Beining, DomeFest Founder and Director, introduces his program of DomeFest highlights, curated especially for the AFF. How: $20/$15 (includes transport). Book via www.adelaidefilmfestival.org, 01300 727 432 or in person from the AFF Box Office adjacent to the Palace Cinema, 6 Cinema place (enter via Vaughan Place off Rundle Street). How: Free. No bookings required, just drop in. Mercury, Mars and Jupiter in the Morning. Mercury, Jupiter and Mars as seen from Adelaide around 6:00 am ACDST. Mercury is the top bright object, Jupiter is the bright object below and too the right, and Mars is the faint dot just to right of Jupiter (click to enlarge). Over the next few days Jupiter and Mercury come closer, cumulating in the spectacular massing of the crescent Moon on the morning of February 23rd. Daniel Fischer notes that Florian Freistetter is blogging Kepler's Astronomia Nova. Unfortunately for monoglots it's in German. Chris Mooney is blogging Copernicus's De Revolutionibus, (see also here), and will also start on the Starry Messenger soon. Going, going, going, almost gone. Antares disappears behind the Moon. I had completely forgotten about the occultation of Antatres. It was only when I turned my binoculars to the Moon, after observing comet Lulin (a busy morning, Lulin, an occultation and Mars and Jupiter together) and saw Antares and the Moon close, did I realise that an occultation was on. The image sequence is from 6:10 am ACST to 6:26 ACST (by which time the sky was quite bright, coming close to the end of twilight). In the last image you can Just see Antares disappearing behind the Lunar limb. All images were taken with my Canon IXUS and my 4" Newtonian, the first three with the 20 mm lens and the last with the 12 mm lens. Getting exposures right was a pain. Last night I took EldestOne and his mate SoccerHero to the "Bash for Cash", SA footballs charity event to raise money for the bushfire victims (just to be clear here "football" is AFL, or aerial ping-pong, not soccer). The two state teams, Adelaide Crows and Port Adelaide were playing cricket against each other, which for US visitors, is a bit like ballet dancers trying to play ice hockey (only funnier). Still, where else can you watch grown men being repeatedly and humorously hit in the groin with leather balls and raise money for charity? On the night there were about 8,500 spectators (not bad for something organised at ultra-short notice) and as of 9:30 pm last night they had raised $110,00 AUD (with more still to come). As part of the 200th anniversary of Darwin's birth, and the 150th anniversary of the publication of the Origin of Species, people have been re-reading the Origin and blogging it (and here). There is even an entire blog site devoted to the Origin. So I thought to myself, it's the 400th anniversary of Gaielo looking through a telescope, why not blog Sidereus Nuncius (The Sidereal or Starry Messenger)? True, it was not published until 1610, but it was the first evidence that the Aristotelian world was finished, and the first step leading to the 'Two World Systems" and the collision with the Church. It also represented a revolution in how astronomy was done, and a large chunk of it relied on observations made in 1609. Also, it's short. Slogging through page after page of archaic italian translated into twee Victorian English is mentally draining. You have to restrain the urge to shout "Come to the point already" after a page of waffle. So I'll do a chapter of the Starry Messenger every week. Strictly speaking, it doesn't have chapters, but there are logical shifts in the content I can pretend are chapters. I'm using a 1960's translation by Edward Carlos, so how well the Italian is translated is unknown. ... and on and on, you expect it to end "..and that's not all! Every reader gets a set of steak knives!" Still, that was the style in those times, but it does read oddly to the modern mind. Even odder is the dedication to Cosmo de' Medici, 6 pages of dedication! Galileo praises Cosmo in terms of such fawning fastidiousness that you half expect him to go "gollum, gollum". But again, in those times, overblown praise of the rich and powerful was de riguer, especially if they were your patron (or you wanted them to be your patron). "..while with one accord they [Jupiter and its Moons] complete all together mighty revolutions every ten years round the centre of the universe, that is, round the SUN." Cheeky Galileo. Next week, the Telescope. Ringworld: Earth is ringed by around 6000 satellites, of which only 800 are operational. Image from ESA. 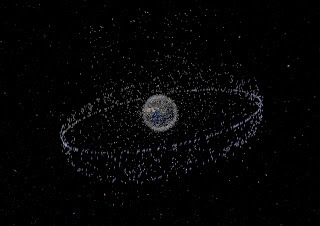 In the light of the great satellite smash, I though it would be interesting to direct you to the European Space Agencies article on Space Debris. Lots of good illustrations of the current situation, and how debris clouds evolve. Flying over Valles Marinensis in a virtual F16. As pointed out by DaveP. If you download the latest version of Google Earth, it comes with maps of the deep ocean and Mars. 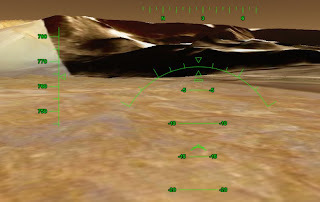 Now Google has a flight simulator, and it also works in the Mars version. So you can do cool things like fly a F16 down Valles Marinensis (or in my case, repeatedly crash, but hey!). As Dave point out, the physics is all wrong, but who cares? Carnival of Space #90 is here. Carnival of Space #90 is now up at 21st Century Waves. It's the Valentine's Day edition, so go give it some love. 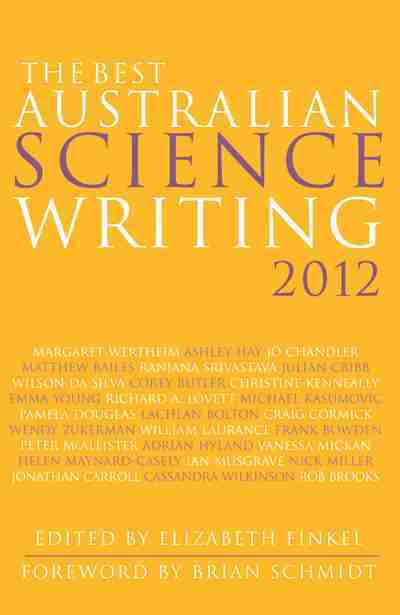 Oh, and there are tales of Pluto, alien civilizations, lakes on Titan and lots, lots more. Radio Australia Podcast Now Up. 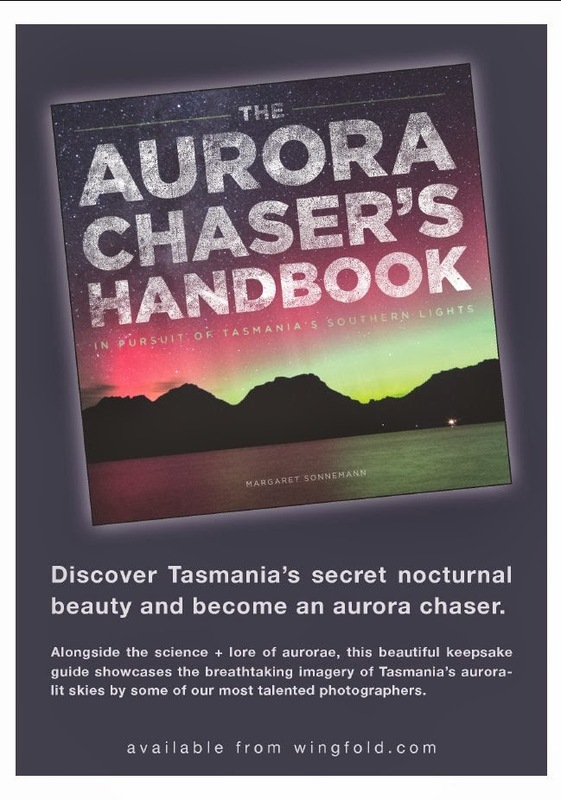 A while back I did an interview for Radio Australia's "The Australian Bite", talking about what is so good about Australian skies. It's now up as a podcast. Have a listen, I'm the first speaker on (and boy do I sound rubbish), but the other two speakers are far more interesting. Just a reminder I'll be on ABC local radio (Adelaide 891 AM) with Ashley Walsh today (Sunday Feb 15th), going live about 11:40 am ACDST. I'll be talking about the International Year of Astronomy, so listen if you can (they doing streaming, so even if you are not in Adelaide you can catch this on your computer). UPDATE: I thought the radio show went rather well. If you are interested in helping out with the Westall Secondary College, please contact me via email (follow the web links at Southern Skywatch) and I will put you in touch. I also had a chat with the talkback gardener Malcolm Campbell while waiting. The Bettdeckererschnappernder weisle is a big fan of his, and it turns out he's an amateur astronomer with some serious tripod mounted binoculars. The eastern morning sky around 1:30 am ACDST Adelaide (click to enlarge). Currently the Moon is drowning out comet Lulin, however, in the next few days there will be a good opportunity to see this comet. On the 16th and 17th of February the comet will be within a binocular field of the bright star Spica, alpha Virginis. It is very easily seen in binoculars (the only fuzzy star near Spica), and may be visible to the unaided eye under dark sky conditions. You of course need to get up early in the morning (between about 1:30 am 5:30 am) to see the comet. This chart to the left (click to enlarge) is suitable for printing. It shows the comet in relation to Spica, the circle represents the field of view of 10x 50 binoculars. 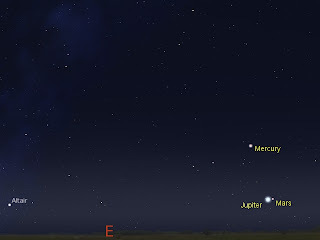 While you are up, cast your gaze to the eastern horizon, Mercury is the obvious bright object above the horizon, Jupiter is the bright object just above the horizon and Mars is a fainter dot above Jupiter. Between the 16th and the 18th, Mars and Jupiter draw closer and are closest, half a fingerwidth apart, on the 18th (see image below). The eastern horizon in the morning at 6:00 am ACDST Adelaide on the 18th (click to enlarge). Keep on watching, on the 23rd there is a spectacular line up of Jupiter, Mercury, Mars and the crescent moon, and on the 24th, comet Lulin is in binocular range of Saturn, and should be visible to the unaided eye. It's a familiar story, distinguished scientist publishes report for government, government ignores report. On in this case, both the government and opposition are attacking the scientist in question, one MP demanding his resignation. The scientist in question, Professor David Nutt of the University of Bristol. Now I know David, having met him at conferences (he probably doesn't remember me, even though we are in the same receptor society), and he is a nice bloke, and a good scientist. What is the report that has caused such vituperative offence? He has the temerity to recommend, based on the best scientific evidence available, that Ecstasy be down-graded from a Class A drug to a Class B drug. Note that, not "Ecstasy is safe" or that Ecstasy should be decriminalised, but that it be put into a category more appropriate to the level of harm it causes. The home secretary wants David to apologise stating "...that his comments went beyond the scientific advice that I expect from him as chair of the [council]". In other words, he didn't tell the home secretary what they wanted to hear. Now people get passionate about drugs, the levels of emotion can rise high and swamp all logic. Ecstacy is associated with harm. In the UK, Ecstacy use  is associated with about 17 deaths per year. But to put that in perspective, in one year in the UK 500 people died from taking paracetamol. Actually, thats misleading, but then, so are the artilces that emphasise the absoulte number of deaths. Which was the point of presenting it this way. You should express the deaths in terms of the number of users. For paracetamol thats 3.1 deaths per million, and for Ecstacy its 27 per million. So Ecstacy is only 10 times more lethal than a common drug that can be obtained without prescrition. Put it anotherway, take Ecstacy, and you have a 0.003% chance of dying. There are other harms associated with Ecstacy use, and the possibility of long-term damage, but the point is that the best available science shows that Ecsatcy is just not a Class A drug like Herion in tems of its harm (see here and here and here for a nice image of compartive harms). Read the report here. See also Davids article on "Equasy" to give you another handle of comparative harms. The UK government wants to maintain ecstasy's class A status to avoid giving any impression that the drug is safe. But it is clearly not a Class A drug, and downgrading it to class B will not give the impression it is safe. The young adults who take these drugs are not stupid, and know that the government is exgaerating the risks, and will be more likley to ignore government advice. That can only be a bad thing for rational drug policy. The UK goverment should start by actually listening to what David has to say. Or at least ingesting tablets that people thought were Ecstacy, some of the deaths in Australia have been linked to contaminants, and in some cases the "Ecstacy" tablets were something else entirely. Risk perception is a tricky thing, obviously, if you are taking a drug to cure a life threatening illness, a small chance of drug related harm is acceptable. But if you are taking a pill just to make you happy one should expect a very low risk of harm, but how low. Is 0.003% chance of death low enough if it's your child taking the drug? (some people think drugs should have zero risk of harm under any circumstances but that is just not possible, any drug that actually does something physiologically, and has any effect, has a chance of interacting badly with the quirks of peoples metabolism). Even so, exagerating the risks of these drugs, and villifying researchers who point out a more rational assessmnet, is a stupid thing to do for a government. The worst fears of the satellite community have been realised. Two satellites, Kosmos 2251 and Iridium 33 crashed into each other approximately 800 km over northern Siberia. How this happened is unclear as the orbits of these satellites were pretty well known, and there should have been time to move the Iridium satellite. Still, it happened, both satellites were destroyed, and now there is a bunch of debris around 800 kilometres up. SpaceWeather has the story, a great animation of the collision (2.3 Mb), and a link to the sound of radar pings off the debris. Real Time Satellite Tracking also has a nice animation. The Bad Astronomer discusses the maths of the collision here and here. Over at meteorobs everyone is discussion whether the impact will result in re-entries with visible fireballs. Despite being at around 800 Km, studies of the FENGYUG 1 debris from the Chinese anti-satellite impact suggest that there may be a slow but steady rain of material over the years (about 10 Kg of material over 10 years, maybe the occasional fireball, but not a spectacular rain of fireballs). The Astronomy Education Review, a web-based journal/magazine about astronomy education and outreach, has announced the on-line publication of its 14th issue at http://aer.noao.edu. Access to this journal is free. In light of recent discussions here, this article How Do Preservice Teachers' Religious Beliefs Affect Their Understanding of Astronomy? may be of interest. As well as Virtual Field Trips: Using Google Maps to Support Online Learning and Teaching of the History of Astronomy. Also, the latest issue of Evolution: Education and Outreach is now online. In line with celebrating the 200th anniversary of Charles Darwin's birth, it is a ‘Darwin’ issue. One paper of interest in light of my recent rant is Don’t Call it “Darwinism” by Eugenie C. Scott and Glenn Branch. Nature also has a Darwin Day Special edition, with a lot of the content free. There is an interview with David Attenbrough, a special Nature Podcast and lots more. Amidst the many heartbreaking tragedies and destruction in the recent bushfires are some small, but still significant losses. much as he did many years ago. project and are calling for other interested people to join in. If anyone is interested in helping, please contact me and I will pass you on to the appropriate contact person. The generosity of people in times of trial never ceases to astound me and fill me with warmth. Over at ScienceBlogs US-based Science Woman is hosting a fund raiser where anyone donation to the Australian Red Cross goes into the draw for two darwin T-shirts. Thanks Folks! You may remember that I got rather exasperated with Professor Tom Frame over a rather silly argument he used in the Sydney Morning Herald. Well, this morning he was on ABC local radio in Sydney, in a debate for science week with Prof Nick Clomp, Dean of Science at Charles Sturt University. The debate is currently the first podcast on the Science Week page. Professor Frame is very erudite in this podcast, and I'm sure we could have a very good chat over a cup of coffee. One thing he gets wrong is that, at the time of Darwin, most people didn't belive that the world was only 6,000 years old as per Bishop Ussher (to be fair, even Vic Stenger gets this wrong). Since Huttons work in the 18th Century, it was evident that the Earth was much older than 6,000 years old. How old was not clear, but values in the millions of years were bandied about. While at the beigings of the 19th century, the average working person may not have been familiar with this, the yariuos Mechanics Institutes promulgated the latest scientific ideas across all classes. In 1840, the wildy popular "Vestiges of Creation" came out, which had a decided old Earth perspective. Darwin sailed on his voyage with Lyles "Priciples of Geology", an old Earth textbook. Still, aside from that off note, it's a nice little conversation, have a listen. Tomorrow, 12th February, is Darwin Day. As it happens, this is the 200th anniversary of Darwin's birth (and "On the Origin of Species" was published 150 years ago in 24 November 1859). Sadly there are no dawin Day evnts in Adelaide, but there are in several other Australian cities. Use this events page, with its interactive map, to find them. To get you started, try reading this essay by my mate John (and this one as well). Scene, the dinner table at Chez Reynella as we are finishing our meal. MiddleOne: I think I have a way to see the constellation lines at night. MO: How to join up the stars in the sky. Me: You mean actually draw the constellation lines on the sky? How would yo do that? MO: You'd fire rockets that leave burning fuel in the sky in lines. Me: Sorry, how would the burning fuel stay up? MO: It would be gas, burning gas, and it would stay up connecting the stars. Me: That might work! Why not build a frame of wire in the shape of the constellation, coat that with petrol, set it alight and have a balloon carry it in front of the constellation. EldestOne: That's silly Dad, you'd set everyone on fire, use glow sticks instead. SO: Our arms and legs fall of, and then they melt, and then we get put back together and kill aliens. I have a face that's just perfect for radio, and as it happens I'll be on ABC local radio (Adelaide 891 AM) with Ashley Walsh this Sunday (Feb 15th), going live about 11:40 am ACDST. I'll be talking about the International Year of Astronomy, so listen if you can (they doing streaming, so even if you are not in Adelaide you can catch this on your compute, no podcast though). These images from the NASA Earth Observatory show the extent of the worst of the fires in Victoria as of February 9. To get an mental image of how much land has been burnt, the total area burnt to date is roughly twice the size of the Luxembourg. As always, donations to the Red Cross can be made here. Left Image, Moon at 11;00 pm ACST, 9 February, just before the Moon entered the Earth's penumbra. Right image, the Moon at 1:00 am 10 February at maximal shadow immersion. You can see the subtle shading at the bottom (north) of the Moon. This was much clearer to the eye (both unaided and through the telescope), that it is in the image. The left hand image is yellower because the Moon was lower to the horizon and had thin cloud cover over it. After all the cloud that was about Monday and Tuesday, I thought I wouldhave no luck with the eclipse, but the clouds cleared the horizon (except for some thin haze early on) in time for the eclipse. Being a penumbral eclipse, where the Moon enters the outer part of Earth's shadow, the darkenng was slight, and only really observable in the later part of the eclipse, but very definitly there. It was beautiful, and I'm glad I stayed up to see it. I also got to see saturn too for the first time this year. Floating with its rings edge on, Titan just beyon the rings. Beautiful too. The images above were taken with my Canon IXUS on automatic with the flash turned off, held to the 20mm eyepiece of my unguided 4" newtonian. It was too cloudy for me to see the Titan Transit, even if I had been up to it anyway. But over in the Philippines Christopher Go was able to see Titans egress, Go to his Titan Transit website to see some super awesome photos and animations. Some Australians got to see it too, despite the wildfires and floods. See this IceinSpace Thread for images and animations. A dedicated Darwinian would welcome imperialism, genocide, mass deportation, ethnic cleansing, eugenics, euthanasia, forced sterilisations and infanticide. Publicly, he advocates none of them. it briefly makes me want to grab him by the lapels and shout at him. "Get a CLUE you fracking moron. If you are going to criticise Darwinism at least LEARN a minute skerrik about the theory you have the temerity to mouth off about. A "Darwinian" would not welcome any of those things because they make no fracking sense from an evolutionary point of view, which you would realise if you had spent one nanosecond learning about evolutionary biology. Go read this article which explains it in small words you might understand." I will not though, if I do meet him, I will politely explain why he is wrong. But it peeves me that having spent decades trying to politely disabuse American creationists of their deep misunderstandings of evolutionary biology, a fracking Australian Professor WHO SHOULD KNOW BETTER (because we have a halfway decent education system here in Australia), comes out with a load of unmitigated nonsense. The rest of the article is pretty well rubbish too. I don't mean to come on all PZ Myers here, rational dialogue between different viewpoints is my thing but Bishop Frame, how much effort would it have taken to walk over to the biology library and crack open a textbook, really. If I said "Christians should welcome cannibalism" (transubstantiation, eating the host, oh never mind) Christians would rightly jump all over my ignorance. So why can't the good Bishop at least do us biologists the courtesy of getting his biology facts just a teeny bit right. Imperialism? IMPERIALISM! WHat the heck does imperialism have to do with biology for fracks sake? I mean, I've kept my cool under torrents of scatological abuse, but eventually you reach your limit for nonsense. 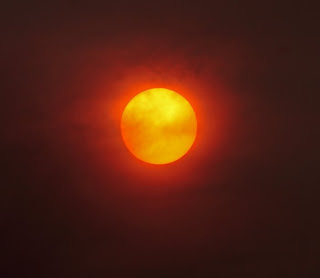 The sun in New Zealand, veiled by the some of the Victorian Black Saturday fires (picture, Tony Travaglia, Otago, NZ). It was Sunday afternoon when Mum rang me, asking if our Victorian family members was okay. At the time, I hadn't heard the news, we had been huddling in the house to avoid the effects of the record heatwave, and I assumed she was asking how the heatwave was affecting the Melbourne clan, especially as SurferFamily has no airconditioning. I assured Mum all was okay and went back to the mundanities of washing up. Then the Bettdeckererschnappender weisle came home, saying that bushfires had it Victoria and it was worse than Ash Wedensday. While BEW hunted out a TV channel, and I hit the online news. The news was worse than we feared. Having lived in Victoria, it was a shock to see places that we knew (we used to go to the ST. Andrews Markets for example) turned to ash. The BEW used to work in the area, it has been a very upsetting time. The tragedy is all the more poweful as these areas are bushfire vetrans. Almost everyone was prepared for fire, and extra fire fighters were on duty. But no one was prepared for the savagery of the the firestorm (and we are used to bad bush fires). People who had taken all the right precautions, talked of the firstorms blasting into their houses and literally exploding their rooms. We have been very lucky, none of our friends and relative have lost their lives, and our hearts go out to the families of those who have lost friends and loved ones. One of our family friends did lose their home and all their possession, but they have their lives, and the ability to start over. Just a reminder, the Red Cross is accepting donations to provide disater relief in Victoria. And the view from space? Here is the NASA earth observatory image (ironically, this page says "more than 30 people", currently the death toll stands at around 134). The bushfires aren't over yet, and with more heat coming, there is the possibility of worse to come. You can keep track of the south east Australian fires using the images produced by the Modis Rapid Response team. If that is not enough, Northen Australia is suffering from severe flooding. Carnival of Space #89 is here. Carnival of Space #89 is now up at at the Moon Society. There's gravity mapping, space strategies, do it yourself pod-casting, cartoon Lunar history, Mars beach front property, the newest exoplanet and much, much more. Put on your Moon-Bathing togs and head on over. Victoria is recovering from Australia's worst bushfire disaster. The Red Cross is coordinating disaster relief in the affected areas, so if you would like to donate something that will get to the victims of this tragedy, please go to the Red Cross donations page. Comet Lulin is rapidly increasing in brightness, and is now just visible to the unaided eye, and easily visible in binoculars. 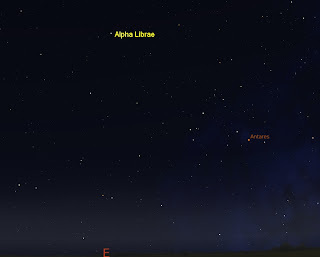 Currently Comet Lulin is not far from alpha Librae, a more or less nondescript star up from the head of Scorpio. This makes it fairly easy to find at the moment, as it is in binoculars range of of Alpha Librae. 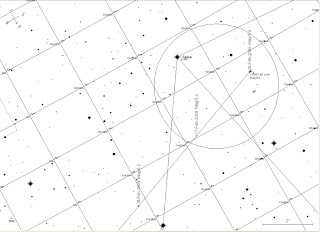 The sky map to left will help you find Alpha Librea (click to enlarge) and below to the left if a printable black and white map suitable for use with binoculars (click to enlarge). You can also get some black and white printable charts here. There are some nice images of Comet Lulin here and here. And here is an image of the cometary tail disconection event. In April 2008, Southern Skywatch was 10 years old, so I ran a competition "Sketching the Sky", for the best sketches adults and kids could do to celebrate the 10 anniversary of my website. After a fair bit of delay (because I'm slack, and life and family issues got in the way), I have finally put up a site with the winning sketches. So go to the Competition Winners Website, and gaze upon the fine artwork there. On the evening of Monday 9 February to the early morning of 10 February, there will be a penumbral eclipse of the Moon, where the moon enters the the outer part of Earth's Shadow. 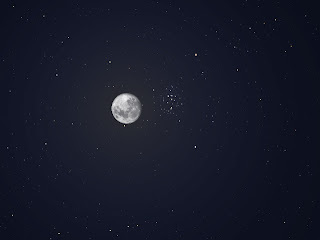 While the eclipse isn't dramatic, you will see a distinct but faint darkening of the northern part of the moon, it will still be interesting and the Moon is near the Beehive cluster. The eclipse will be seen in the Pacific, New Zealand and Australia, as well as South East Asia. Western Australia sees most of the eclipse on the 9th. The eclipse begins at 11:36 pm AEDST, 11:06 pm ACDST and 9:36 pm AWDST on the 9th. Mid eclipse is 1:38 am AEDST, 1:08 am ACDST on the 10th and 11:38 pm AWDST on the 9th. The eclipse finishes on 3:39 am AEDST, 3:09 am ACDTS and 1:39 am AWDST. For states without daylight saving subtract an hour. For people in Asia and New Zealand, see here for a map and contact timings in UT. Titan begins to transit Saturn's disk at around 11:45 ACDST on Sunday February 8 (click to enlarge, the minor Moons are exaggerated in this image). 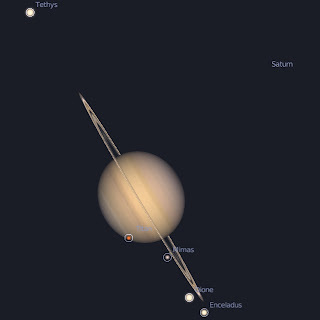 While transits of the Galilean satellites across Jupiter happen relatively often (about a few times a month or so that are observable from any one location), transits of the Moons of Saturn, especially Titan, are much rarer. Roughly every 14-15 years however, when Saturn's Rings are edge on, there is a chance to see Titan transit Saturn. Mike Salway discusses this over on Ice In Space, and gives transit times. There is also an awesome animation that he made of an earlier transit. 10:15 pm AWDST Sunday 8 February (WA). There are further transits on February 24 and March 12. Reader Tony Travaglia sends in this beautiful photo of the Moon and Venus on New Years Eve, 2008. Click to enlarge it, and you can see beautiful detail in the Earth shine. Well worth the wait. 4 Watts Up With That? *That's irony, any science blog listing that didn't have Pharyngula in at least the top 10 is badly wrong. Walking back from the rubbish bin, I was taken aback by the sight of two bright stars close together. For a moment I was confused, I didn't remember any bright pairs in the north-east. I then realised that the one on the left was Betelgeuse and the one on the right was ... completely unknown. As I watched it slowly faded, going from about magnitude zero to magnitude 4 in around a minute (or a bit more). I couldn't see it moving though (or if it was it was moving vvveeerrryyy slowly. It might have been a satellite, but its lack of movement suggests it wasn't, and neither Heavens Above nor the Skymap satellite database show anything in that region (just above mu Orionis) at around 20:50 ACDST. It might be some weird glint off a geostationary satellite, but I don't have access to geostationary satellite TLE files. I could also be a "point Meteor" where a meteor is coming into the atmosphere almost driectly along yor line of sight, although the slowlness of the fading seems to make this unlikley. So a small mystery. Anyone able to shed any light? Radio Australia, in honour of the International Year of Astronomy, has been conducting interviews with professional and amateur astronomers. I’ve just been interviewed by them, and expect my interview will be available as a podcast this weekend. I’ve done a number of interviews for radio in regard to astronomy (and only two in regard to my biological research [sigh]), and I thought I might share some of the things I learned as part of my experience. Who knows, your local radio station may ask you to give them a talk, I never expected it to happen to me, but it did. I've even been asked to speak more than once. Relax, the radio folks want to talk to you because they think what you do or know is interesting, and the listeners think it’s interesting. You know your stuff, the sky is your playground. It’s radio, so close your eyes and imagine you are out in your backyard, talking to a friend about what you love. Let your enthusiasm for your astronomy shine through. Prepare beforehand. Think about what you would say. Imagine how the interviewer can ask you different questions. The interview will almost always evolve in ways you can’t foresee, but the practise of imagining how things could go will mean you won’t freeze up when the interview heads off in its own direction. In one interview I ended up talking enthusiastically about exoplanets, when I had no inkling we would ever go in that direction. No matter how polished you are, there will come a time when you have a mental blank. I have a single sheet of paper next to me with a couple of dot points written on it to prod my memory if the brain cloud gets me. Key dates (no matter how well you know this, the date of the next Leonid meteor shower can evaporate in an instant during an interview), a couple of linking ideas and so on. Don’t put in too much detail, you will get lost trying to read it and this will distract from the interview (you are sharing a conversation with the interviewer, not reading a script). Just enough so that if you feel the brain cloud looming, you can flick your eyes to the side and pick up that key point or date that went blank. Sometimes, you will make a mistake. Once I was taking about a lunar eclipse, and I was asked about how the date of Easter was calculated. The dreaded brain cloud descended and I had to admit I hadn’t the foggiest idea. After all, it’s not something I do generally. Gracefully admit you do not know, and use that as a jumping off point to something you do know. Don’t let it throw you (on the other hand, someone rang in to ask if the Southern Cross could be used as a clock, and I had just written an article about that, so that was a score). Don’t be disappointed after the interview. I used to be; then I ran across people who had heard what I thought was the most dismal radio interview I had even given, and they thought it was great! There will always be things you leave out that you wanted to put in (I forgot to mention the 100 hours of Astronomy during the Radio Australia interview), and things that you think you could have said better, but most people will find what you said interesting and informative. You have made their days a little brighter by showing them a bit of the sky that you find so fascinating. I’ll never be the local equivalent of David Attenborough (or Karl Kruszelnicki or Paul Willis or Bernie Hobbs), but I can, in my own small way, share my joy of the sky with others, and you can too. If something special is coming up in your region (a star party for IYOA, or a great eclipse or something), why not email your local radio station and ask them to do a quick segment on it?